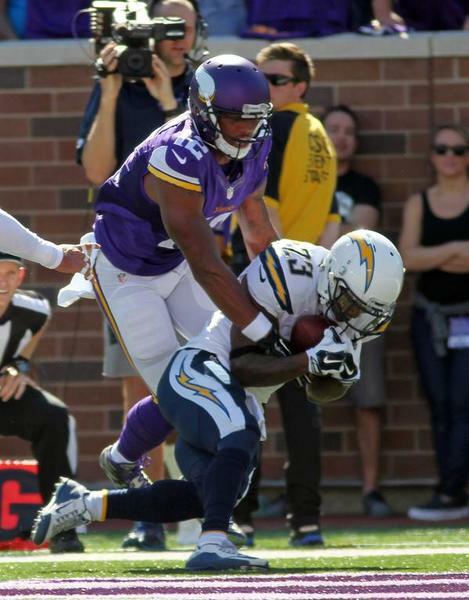 The Vikings play the San Diego Chargers and look to last Sunday's win was no fluke. Join in on the discussion as Andrew Krammer, Judd Zulgad and others react LIVE during the game with #1500ESPNLive. #1500ESPNLive is an experience like no other. You will get instant commentary, opinion, analysis and reaction to what is happening on the field. Enjoy real time videos, photos, audio and posts from around the world via social media. Vikings run second down play and with about 35 seconds left let clock run out much to dismay of crowd. Vikings got ball back with 1:12 left. 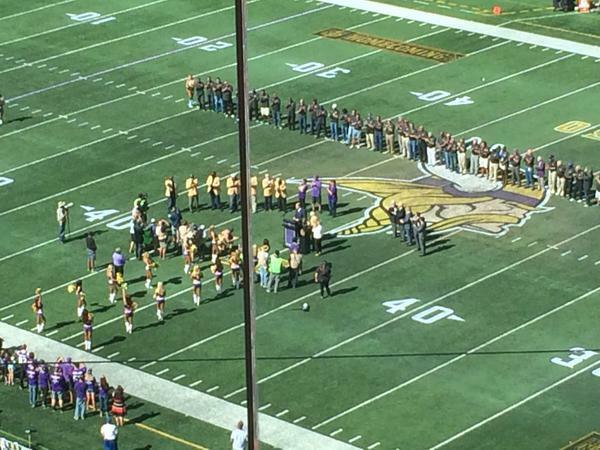 I have not counted one Vikings run out of shotgun this afternoon. 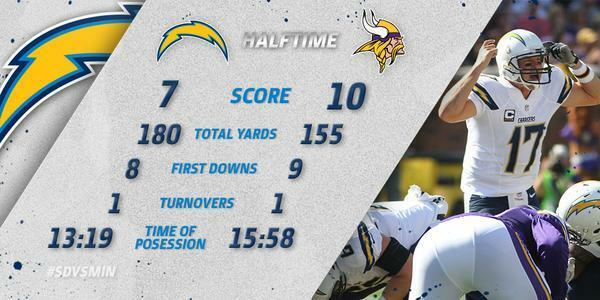 Peterson is at 13 carries for 50 yards with a touchdown. Rookie Trae Waynes may be in line for his first NFL snaps if Xavier Rhodes is held out. Marcus Sherels the other option. Price inactive.
.@AdrianPeterson halftime stats: 13 carries, 50 yards and 1 TD. #Vikings lead 10-7. 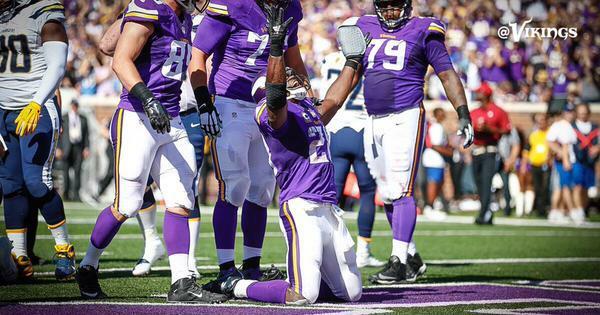 #Vikings CB Xavier Rhodes is being evaulated for a concussion. His return is questionable. Xavier Rhodes being "evaluated for a head injury," and his return is questionable. get Tree Waynes in there! Trae Waynes at right corner for the Vikings. why is sendejo still in the game? #Vikings CB Xavier Rhodes has been ruled OUT with a head injury. 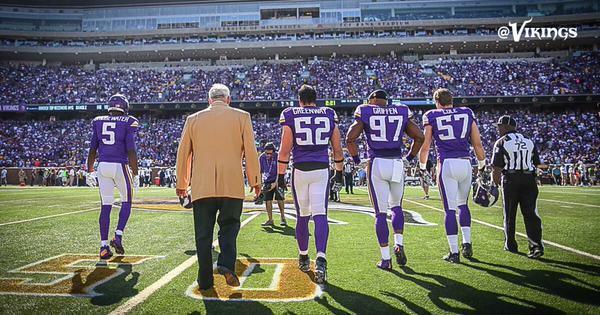 #Vikings DT Tom Johnson now has 7.5 sacks as a Viking.
.@AdrianPeterson breaks loose for a 43-yard TD. 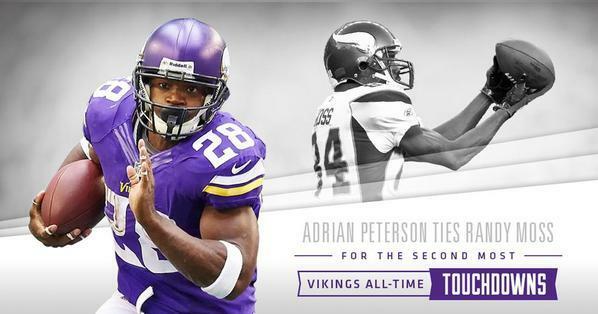 He now has 93 yards and 2 TDs on 14 carries.
.@AdrianPeterson is now tied with Randy Moss for the 2nd most TDs in team history with 93 total TDs. ICYMI: @KingStevieWill had a CLUTCH interception in the first quarter. Jason Verrett has a foot injury and will not return. #Chargers CB Jason Verrett is out with a foot injury. Xavier Rhodes is officially out for the rest of this game.
.@XavierRhodes29_ has been downgraded to out (head injury). #Vikings CB Xavier is downgraded to out with a head injury.